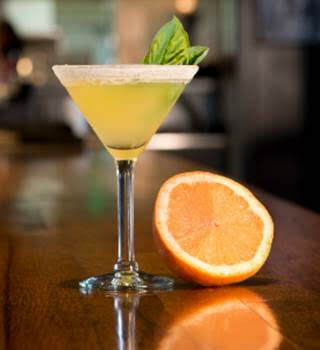 Thirsty Lion is mixing up a fruit and herb martini that will excite your taste buds! The Grapefruit and Basil Martini is served with Deep Eddy Ruby Red Vodka, St. Germain, grapefruit juice, fresh basil and grapefruit bitters. This refreshing cocktail pairs perfectly with the new summer menu’s shrimp ceviche. Too adventurous of a cocktail? Cool off all summer long with Thirsty Lion’s Beat the Heat Special. Now through September 1st, when the temperature reaches over 105 degrees, Moscow Mules and Mojitos will be half price. Thirsty Lion Gastropub & Grill is located at 2000 East Rio Salado Parkway, Suite 1041 in Tempe and 7014 E Camelback Road, Suite 1423 in Scottsdale. Their Scottsdale location offers complimentary valet. Thirsty Lion just opened its newest location at SanTan Village 2212 E Williams Field Rd, Gilbert, AZ 85297. For more information visit www.thirstyliongastropub.com. 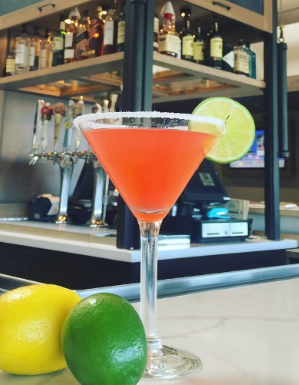 Brighten up your day with a citrus Cosmopolitan from Burger Theory! Fresh squeezed lime juice is mixed with cranberry juice, citrus vodka, and orange liqueur to make the perfect tart and tasty treat. Not in the mood for a martini? Cool off with Burger Theory’s Beat the Heat special. Now through September 1st, when the temperature reaches over 105 degrees, the Burger Theory Iced Tea and House Margarita will be half price. Looking for a more traditional martini? Stop by Kelly’s at Southbridge to try out the Kelly’s Martini. 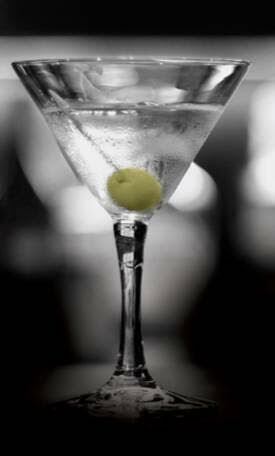 This classic martini is made with vodka or gin, extra dry vermouth, olive juice and delicious bleu cheese and pancetta stuffed olives, yum! The gourmet olives add a kick to this timeless cocktail. SOL Cocina takes a Mexican inspired twist on the classic vodka and gin martini. 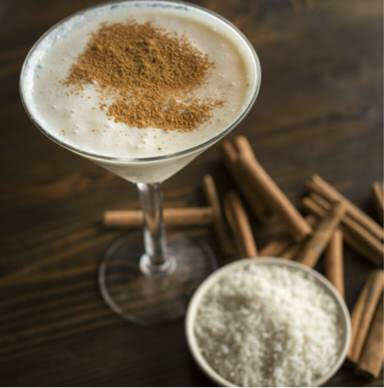 The Horchata Martini is house-made Mexican horchata with black-tea-infused Don Julio Reposado Tequila and 1921 Crema Tequila. This delicious and creamy cocktail is the perfect drink to pair with SOL Cocina’s mouthwatering street tacos. SOL Cocina is a Baja-inspired Mexican restaurant that celebrates authentic flavors and Mexican traditions with an ever-changing array of fresh seafood and season fresh ingredients. SOL Cocina offers an upscale dining experience located in the Scottsdale Quarter plaza at 15323 N. Scottsdale Rd., Scottsdale, AZ 85254. Visit them at http://www.solcocina.com/scottsdale/ or like them on Facebook at https://www.facebook.com/SOL-Cocina.